Ayurvedic Medicine is a form of spiritual and bodily wisdom that was born thousands of years ago. Incorporating all aspects of the body and the spirit, this ancient practice approaches health and wellbeing as one, an all-inclusive sight that reaches to every part of life. Part of Ayrevedic Wisdom lies in what are known as Doshas, or a kind of energy that is always circulating around your body. These Doshas are incredibly important in Ayurvedic Medicine – and the very soul. When out of balance they can wreak havoc on your life, physical wellbeing and even your emotional frequency. •Vata Dosha: This energy is the ‘master controller’ of all the movements within you, including digestion, breathing, blood, etc. •Pitta Dosha: This energy governs the contentment of the body and ensures that everything, including the spirit, is functioning as it was designed to do. •Kapha Dosha: The engery of Protection, builder and lubricator. 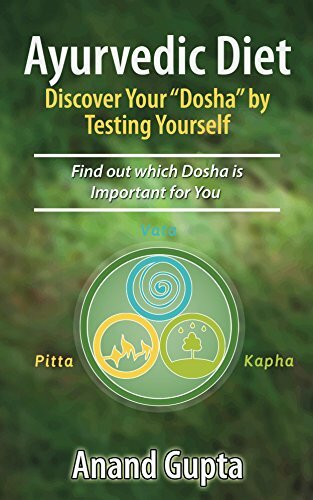 This comprehensive guide explains what Doshas are and how to test which Dosha is dominant within you – and how to find the balance your body, soul and spirit desperately craves.